Now that the tournament is over with and also congrats to Masato Yoshino for winning the King of Gate tournament by defeating YAMATO! He is now set to fight the current Open the Dream Gate Champion in the main event as we also have the Open the Twin Gate Championship match as well with Kagetora and Yosuke fight Big R and Ben-K, so we got some stuff to look forward to today, so let’s not waste any time and…dive right in. Review: We get Natural Vibes starting us off as they, of course, do that dance that I’m starting to get addicted to and I will eventually learn how to do it and have a crew to do it with me, or I do it with them when I go to Japan in 2020 if they’re still a unit, whichever comes first. It looks like they’re fighting members of Saito’s team throughout the card as the others will be in singles matches against each other. I don’t know where this obsession with Brother YASSHI grabbing dicks lately and I mean it’s effective, but also why? He would do it to Shun Skywalker and Kzy would do a Double Axe Handler onto the grabbed area, clever. Kzy would go for the pinfall, but Don Fujii attempts to throw a water bottle again and he hit’s Shun this time as he missed hitting his opponent again. A lot of good combinations between these two teams and tons of quickly paced spots. One little funny spot was Susumu would attempt to drop Shun for a Skywalker and would stop himself so he wouldn’t drop him while it leads to Shun flailing around like a kid til he would eventually get dropped. Shun would attempt a pinfall after a Sunset Flip and as Kzy reversed it, K-ness would kick Kzy down so Shun could get the pinfall and it’s only a two count. Kzy would eventually hit his Running Elbow Smash on Shun to score the pinfall for Natural Vibes. Recommended: Solid opener with tons of fun spots to keep it entertaining. Review: We get more Natural Vibes with Genki Horiguchi getting involved into the mix to take on Yuki Yoshioka. The two would start off in a Lucha style sequence and it was very crisp with both men being pretty much even with it and it was very fun to see. Yuki is someone who has been very impressive in the ring as he’s quick, can work, and has a good pace for himself. Genki is also someone who knows when to keep up with just about any worker or any style they can do and can be pretty quick for a guy his age as well. The two would go back and forth with their roll-ups as neither of them would get the edge over the other, but Yuki would get a lot closer with it to only get a two count. Yuki would attempt to get another pin over him but would get caught in an Alabama Slam position and gets hit with the Beach Break giving Genki the win. Recommended: This was a much better match than I anticipated it to be, definitely give it a look as their chemistry was great. Review: The last member of Natural Vibes is up as Punch Tominaga takes on our comedic hero, Ryo Saito and hilarity is expected between the two competitors here. Nothing gets Saito more motivated than by having Don slap him in the face. I was right to say it was going to be a comedy match and it delivered just that here as our first comedic spot was Punch going for his Spear through the ropes and Saito moving out of the way, Saito would attempt to do a move, but would bow and walk over him instead. I don’t know what it is with these two, but the comedy works better with these two together since that is what Punch is mostly used for also, but Saito is better at it than Punch is though. Saito would keep trying to Irish Whip Punch, but he kept holding onto the ropes until he eventually gave up and Punch kicked him. Punch would finally hit his little Headbutt through the ropes a couple of times and kept kicking out of it. Saito would go for a dive and hits Kzy instead of Punch and would get Punch into the ring for Don Fujii to try and slap, but Saito would get slapped instead. Saito did, however, hit a Double Stromp from the top rope and goes to the other side to hit his SaiRyo Rocket on Punch to get the win and end Natural Vibes little streak they had tonight. Recommended: Very funny and entertaining match, worth a view. 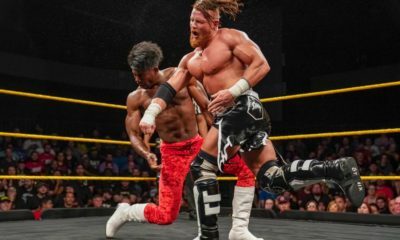 Review: With YAMATO losing the final, he gets involved in a tag match with BXB Hulk being his partner taking on someone he fought in the semi-final, Naruki Doi, and his partner Jason Lee. We get YAMATO and Jason starting it off and starts off with some nice chain wrestling and YAMATO could go for a kick but stops once Jason is in his little meditating stance. YAMATO doesn’t know what to do at first and slaps his head, seeing him sitting still, so he goes to pick him up from behind and gets caught in an Arm Drag. In fact, Jason and YAMATO are in the majority of the match while Hulk and Doi would get a few moments in the match to work with the others, but I felt like it was mostly about these two here and I hope it leads to a future singles match between the two. It would be amazing as their chemistry is great. 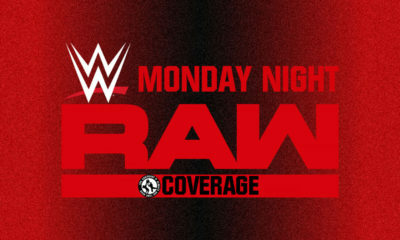 Jason would get the upper hand with most of the match when he hits those fast kicks on his body and would hit the La Magistral to try and get the pinfall over YAMATO but he kicked out at two and it would eventually bite him as YAMATO hits the Galleria for the win. 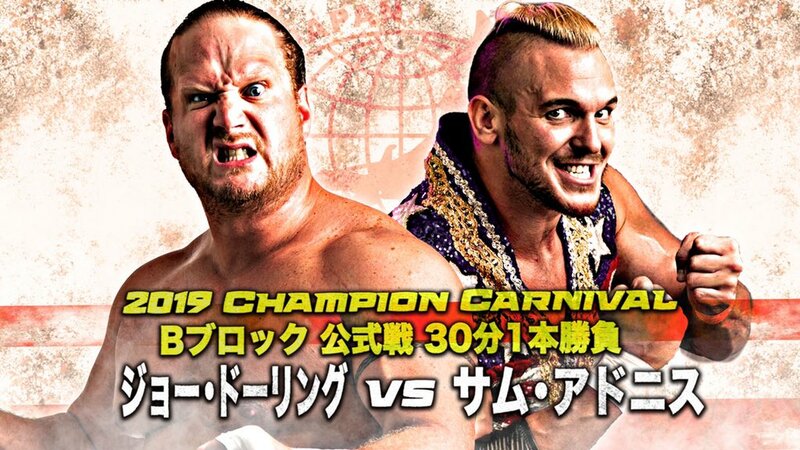 Please give me Jason Lee vs. YAMATO asap since this match made me want to see it happen. Recommended: Worth at least a viewing. Review: The same match as the last show except that they both have another member added to make it an eight-man tag as ANTIAS added Yasushi Kanda while Over Generation added Mondai Ryu. Over Generation were doing their usual thing with the crowd until ANTIAS came out to cut them off to do a promo of their own and then it lead to ANTIAS brawling with Over Generation on the outside as the match begins. Once everyone is back in the ring, Eita and Dragon Kid would start it off with some decent back and forth and ends with Dragon hitting a Head Scissor as Takashi would Uppercut Dragon and then Gamma would come in to try and overpower the guy, but does once he hits a Lariat and Kaito helps Dropkick Takashi as now him and Shingo start to go, but gets knocked down quick. The four would start beating down Kaito until Mondai would try to make the save but he would also pay the price for it as he takes the assault now. Shingo would start to attempt ripping his mask off, but Mondai was able to fight it off until later on as Eita would rip a good chunk of it off until Gamma helped make the save for more damage to be done to his mask. This would, however, give Mondai some needed momentum as he lands some moves on them to get Dragon Kid tagged in as he starts exploding with energy and even hits Shingo with a 619 while Gamma would deal with Takashi and Yasushi in the ring, wrapping his legs around Yasushi’s head as he had an arm around Takashi so he could flip the both of them over. Dragon Kid would attempt to put Aita away for the win, but Shingo would attack Dragon from behind and gets caught with the Trace Kick, giving ANTIAS the win. After the match, Dragon Kid would challenge Eita to a match and even puts his Open the Brave Gate Championship on the line as Eita accepts the challenge, but we have no release date for it yet and I really hope they have a better match this time compared to their last one on one encounter at the King of Gate Tournament. Recommended: Fun match, give it a view as you might like it. Review: One of our first of the two title matches as Kagetora and Yosuke have earned a Twin Gate Championship during this tour and would have the match here tonight. With Yosuke getting the surprise victory over Big R the day before, it gave them that needed momentum to think they have a chance to take the gold away from them, so let’s see if it pays off. 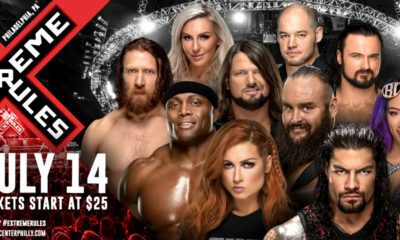 The match was amazing with all four of these guys stepping up to the mat with them all equally doing everything they needed to do to give us a quality match. Kagetora was on fire with how quick he was in the ring with his combos like how he did a Springboard Dropkick to Big R and would quickly follow it up with a Cruiser Kick, but wasn’t enough to put Big R away. I loved how they didn’t treat this match as a comedy or anything since they sometimes do when Yosuke is involved, but I’m glad it wasn’t the case here as he also shined in this match and the chemistry he has with Ben-K is great. What I loved the most about this match is the tag team combos they would produce after a reversal like how Ben-K would try to go for his Ben-K Bomb only for Yosuke to reverse it and Kagetora would be quick to give Ben a Running Enziguri right away without giving him time to catch himself in there. Yosuke would attempt to go for the Neraiuchi again on Big R shades of last time they fought, but it didn’t work this time and Yosuke would eat a Spear after that, but another kick out to keep the match going. The last five minutes are starting to get exploding with Kagetora hitting the Gurumakakari on Ben and it looks like Tribe Vanguard is going to win it, but Big R would break the pinfall just in time. Big R goes for the Shot-put Slam on Yosuke, but he reverses it into the Neraiuchi and it looks like it could be it, but Big R kicks out this time! Big R throws Yosuke into the air and Ben-K catches him into a deadly Spear and he’s not done yet as he finally hits his Ben-K Bomb and gets the three count, still champions! Recommended: Great match, please watch it. Review: Here we are with our main event of the evening as Masaaki defends his Open the Dream Gate Championship against this year’s King of Gate winner, Masato Yoshino. Masato was apart of D Block as he would win that to advance to the top four where he fought Takashi Yoshida first and defeated him to move onto the final to take on YAMATO and yesterday, Masato would defeat him to win the tournament to get this chance. 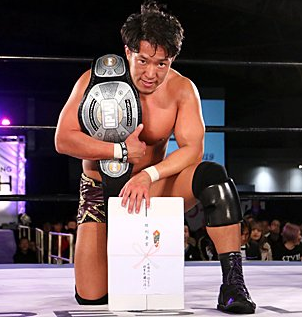 Mochizuki has had five successful championship defenses and has held the title for 265 days after defeating YAMATO back in September. Now can Masato finish off strong and take the title with him to complete the journey and become a four-time champion or will Mochizuki retain for the sixth time and ruin Masato’s momentum? Well, let’s find out right now and see how this tournament actually concludes. 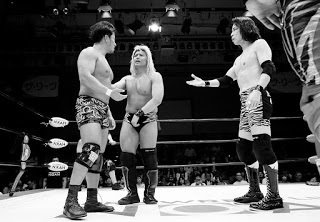 The two would start by shaking hands as a sign of respect for the two competitors and would begin by doing some chain wrestling for a moment and then a lucha style sequence which ended with Masato hitting a dropkick when Mochizuki would attempt to jump over him before rolling to the outside. Masato would then make an attempt to do a Suicide Dive but would get caught with a Roundhouse Kick as Mochizuki goes back in to work on him. Mochizuki would then work on Masato’s leg to limit his movement in the ring and would even deliver stiff kicks to it instead of chopping Masato back when he was trying to do a chop battle with him, but Masato would block his kick and slam him down by him arm as he now has the advantage to work on his arm. I like how this is starting off to be ground-based with a mixture of impactful strikes at the same time knowing when to pick it up when it needs to, but now Mochizuki would also slap the back of his neck a few times to try and wind him down a little which worked since whenever Masato would try to strike him back, he would fall over eventually which Mochizuki used it as his advantage. Masato would attempt to go for a Head Scissor to try and take Mochizuki down, but got caught during the middle of it with Mochizuki applying the Ankle Lock on him to try and make Masato tap, but he would try to get to the ropes which caused Mochizuki to let go and turn him around so he could knee him in the face, but he’s not done as he went for a strike as Masato ducked and hits the Sling Blade for a two count. Things would start to get quick and intense as Masato would do his Head Scissor Takedown only for Mochizuki to get up quick to deliver a kick to the chest, and Masato would do it for the second time as well as Mochizuki kicking him again, but as Masato would go for it the third time, he would get caught into a Dragon Suplex for another two count. The two would slowly get up on their knees and stare each other down, hitting each other back and forth to show that these two won’t quit in this match here. Mochizuki would hit his Saikyou High Kick to knock him down and goes for the cover but kicks out at two. Masato hits his takedown once again and was able to apply his Sol Naciente to try and make him tap out and it almost worked once Mochizuki fell down to the mat, but he would find a way to break out of it and kick him a few times until Masato hits a poorly botched Torbellino Crucifix and would get the win as we have a new champion! This match was going really well and was getting into it, but I felt like Masato should’ve made Mochizuki tap out to make the win much more memorable than a botch Crucifix. Mochizuki, you’ve had a hell of a run as champion and shows you still got it for your age, thank you for a fun reign and congrats to Masato. Recommended: Even with the sloppy ending, still well worth the watch. After the match, Masato would grab the microphone to put Mochizuki over in a way to show respect to the former champion which is a very class act by Masato to do so since he does deserve a lot of credit. 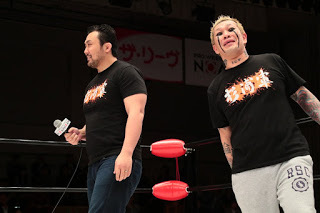 Mochizuki would then do the same thing to him by saying a few things about him before leaving the ring so the spotlight can be on the new champion. Masato would keep on talking until Shingo Tagaki would come out to ruin the celebration as he states that he will be his first challenger for the Open the Dream Gate Championship which Masato would accept, but no official date for the match just yet. The other members of MaxiMuM would come into the ring and celebrate with their fellow member to end the show. Congrats again to Masato and I hope he has a successful reign. 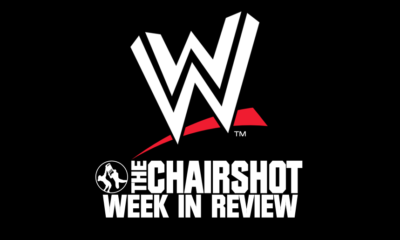 Overall: From top to bottom, this was a very solid show and can’t really recall a bad match on here while the rest was entertaining at most. The tournament is all over with finally as we can now focus on actual shows which we all know and love.